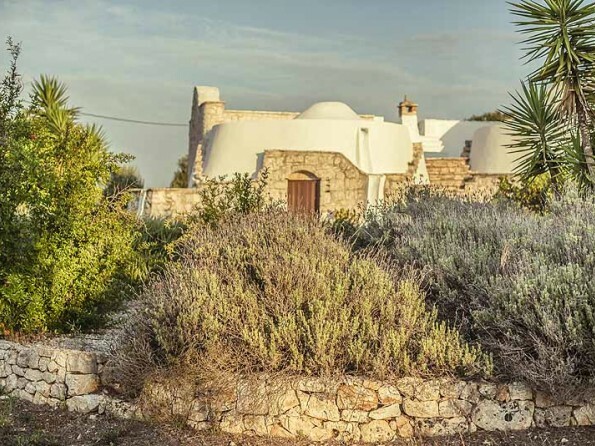 Built around two original Saracen trulli, Casa Vita has been uniquely designed by a local architect to create a well-appointed country house with cool spacious rooms, a free-form swimming pool and an outdoor kitchen. 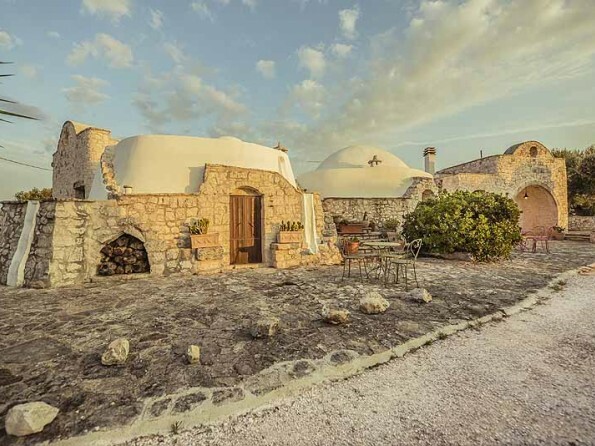 Come and experience the unspoilt beauty of Puglia. 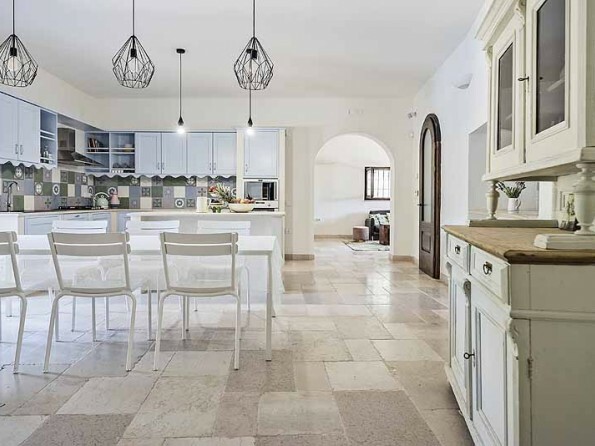 Casa Vita is a charming blend of the luxurious and the rustic. 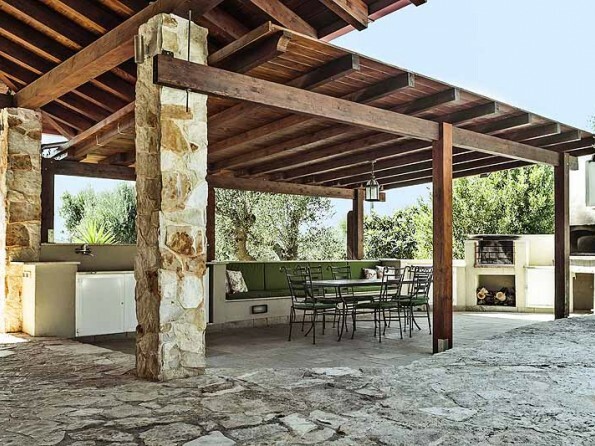 And with four bedrooms, three bathrooms, a private swimming pool and a gazebo it is the perfect setting for a group of family or friends who want to relax and enjoy an authentic Italian holiday. 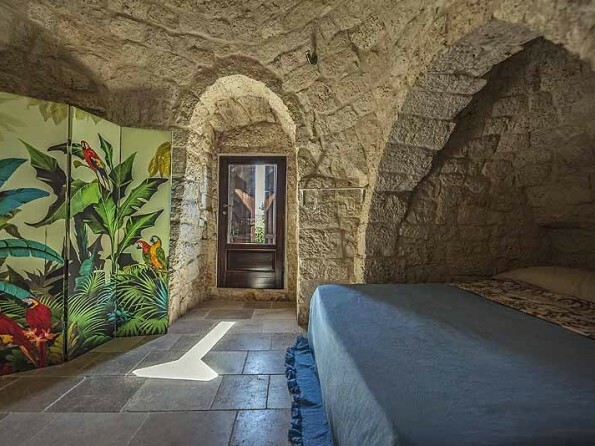 The two traditional trulli have been converted into unusual bedrooms with amazing slide-out beds and floors which incorporate the original rock, and the rest of the house is equally as characterful, while also being delightfully light, airy and cool. Whatever the season this is a lovely house in a picturesque setting. 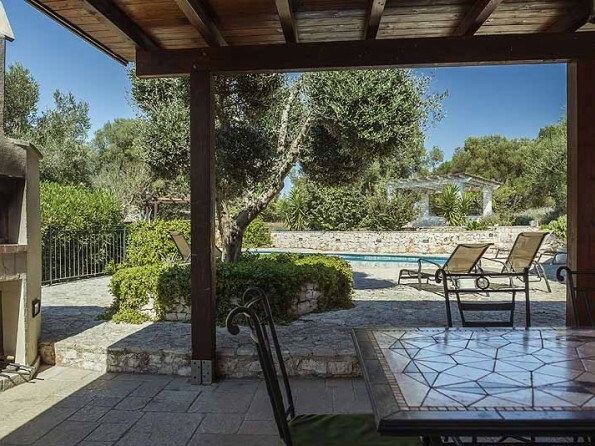 The villa sits in peaceful Puglian countryside and yet it is just 2 miles from Ostuni. 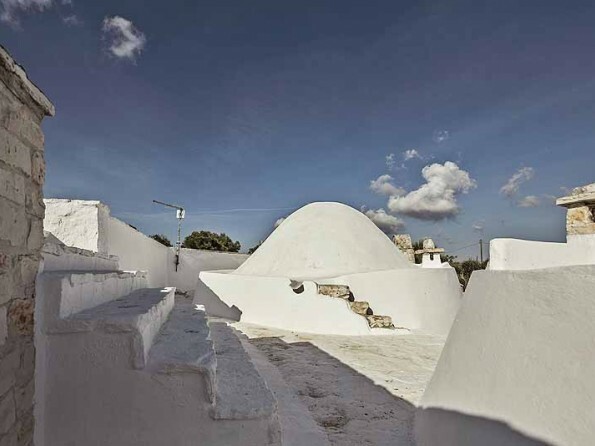 Ostuni, "La Citta Bianca" (the white town) sits on a hill looking like a large wedding cake and is the most famous of the Puglian white towns. 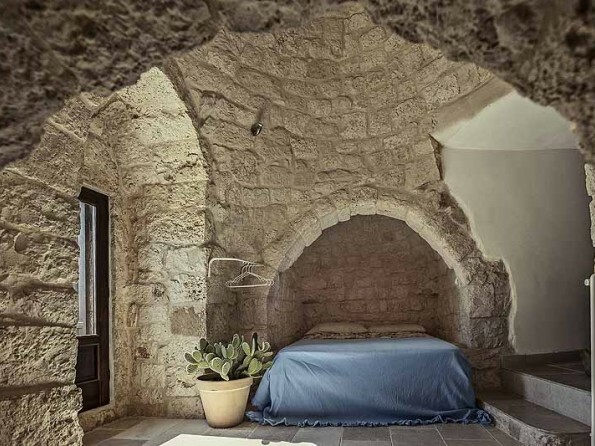 A town where old medieval houses, characterful buildings and wonderful sea views mix with lovely authentic restaurants often built like caves in the white stone, with prices to suit all pockets and at least two of the most amazing bars which rival anything in London! And beautiful coastline is just a 20 minute drive away. 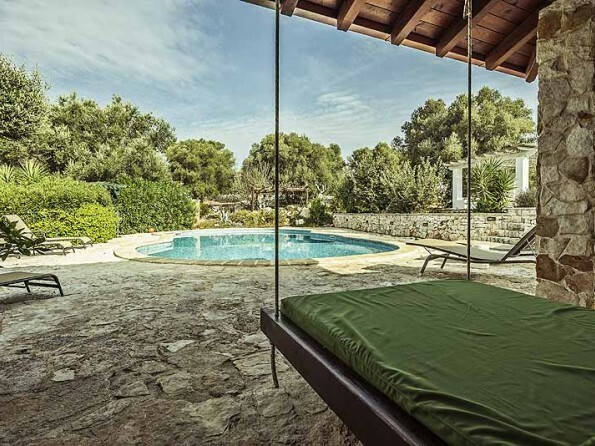 This is a great location for hiking, cycling, or just lazing around on the various Adriatic and Ionian beaches. 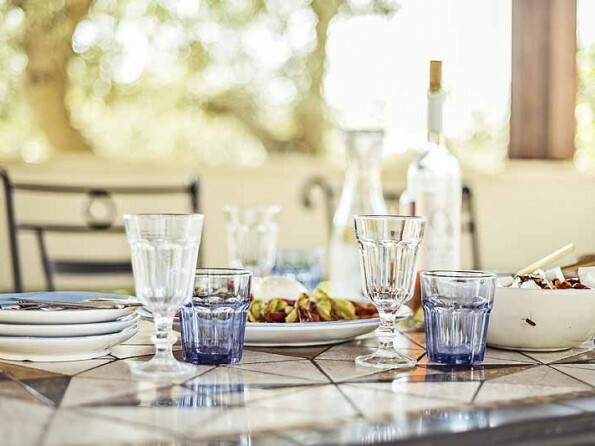 There is no need to worry about finding the house – the owners will meet you at an easy-to-find location, guide you to the house and go through everything you need to know. You will be provided with contact numbers should you need anything. 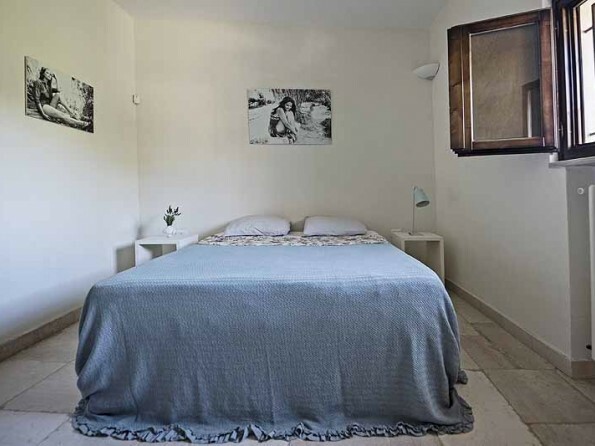 The two trullo bedrooms are queen size double rooms. 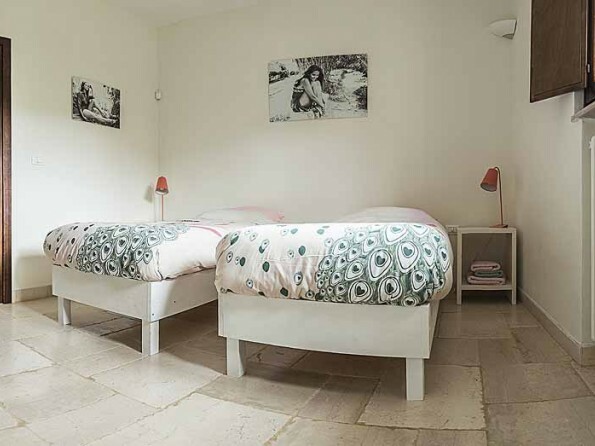 The other two bedrooms can be used as twins or doubles and one of these has an en-suite shower room. There are three bath/shower rooms in total, one of which has a large freestanding bath. The living and sleeping areas are at opposite ends of the house, and the 30 foot lounge has two separate seating areas and a 42 inch flat screen TV. 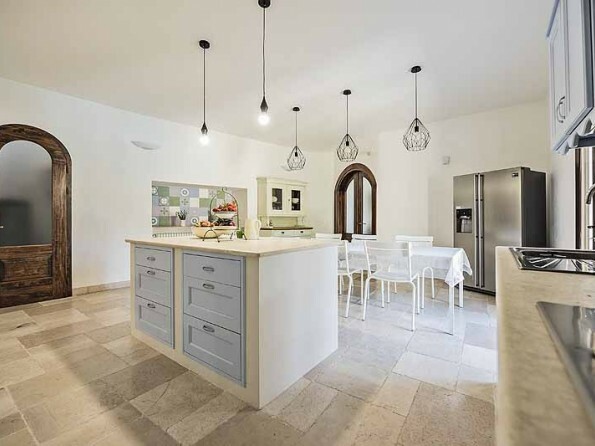 And the enormous indoor kitchen is extremely well-equipped with everything you could need for group catering. Puglian cookery books provided! 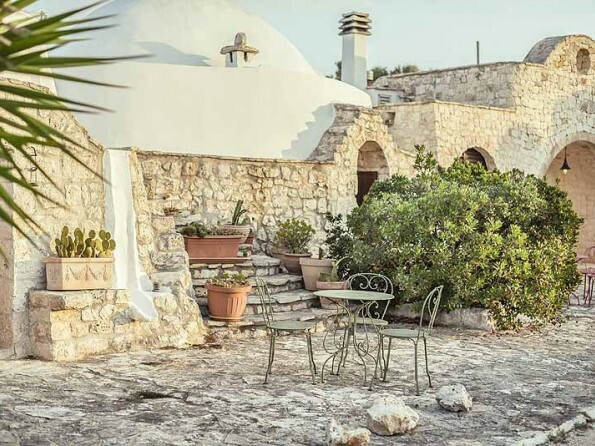 The trullo bedrooms open out onto the front patio, surrounded by flowers and trees with views over the beautiful countryside. 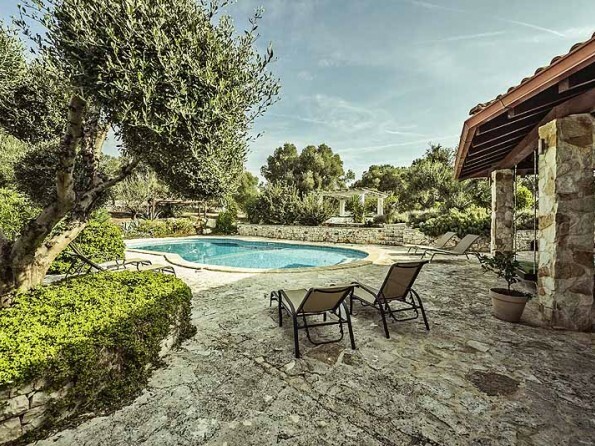 There is a private swimming pool with loungers, a swing bed and gazebo and a large shaded veranda. 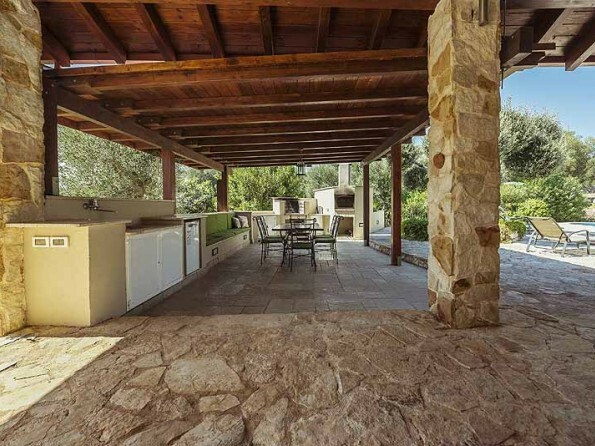 Make the most of the sunshine and the views by using the fantastic outdoor kitchen with its BBQ, pizza oven, fridge, sink, large table and chairs. 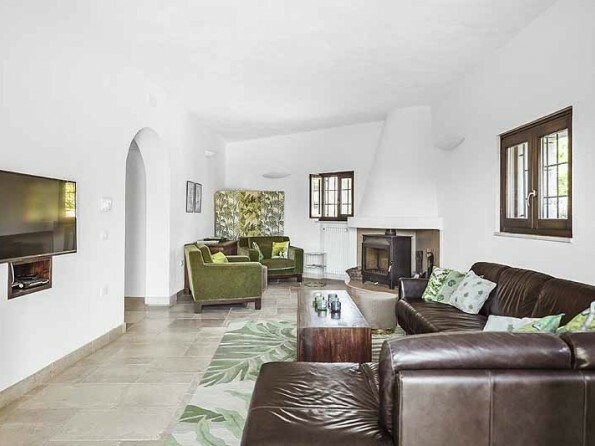 The house has full central heating, provided by bio-fuel boiler, together with a log fire. 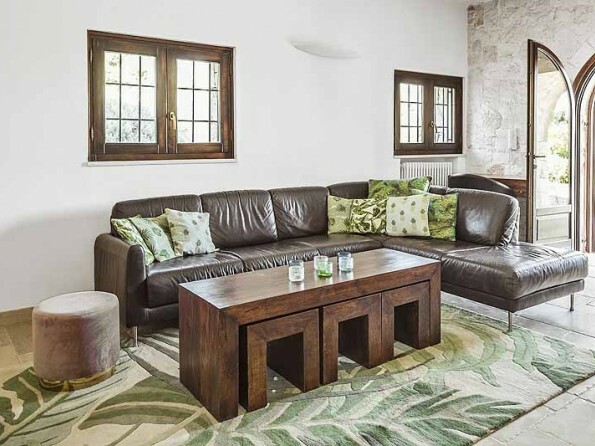 The owners will leave you a welcome pack on your arrival so you don’t need to rush to the shops. All linen and towels are provided. The property is cleaned once a week on Saturdays. Extra cleaning/laundry changes can be arranged at extra cost. Pool towels provided.